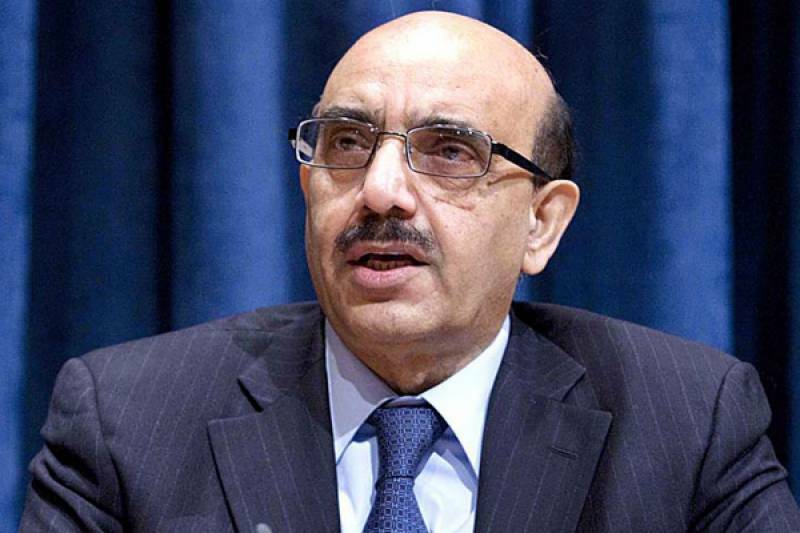 ISLAMABAD: Azad Jammu and Kashmir (AJK) President Sardar Masood Khan has said that he salutes the passion and vigour of the people of Jammu and Kashmir and their heroic struggle for attaining their right to self-determination, which was granted to them by the UN. The AJK president expressed these views during a meeting with a delegation of APHC, which came from Indian occupied Kashmir (IoK) and called on the president in Kashmir House Islamabad on Thursday. The president said that the people of Pakistan and Azad Kashmir unanimously expressed their solidarity with the people of IoK on February 5, and this pledge was renewed. Sardar Masood Khan said that sacrifices of Kashmiri people will not go in vain. The president said that Indian Prime Minister Modi’s government has implemented a three-pronged strategy regarding Kashmir Issue, which includes inflicting physical and mental torture to Kashmiris so that they surrender and bow down before Indian forces. During the meeting, the delegates from IoK apprised the AJK president about the latest situation in occupied Kashmir and elaborated that a new reign of terror has been unleashed by Indian occupation forces targeting the youngsters studying in universities and colleges who just raise their voices for their freedom. They told the president that educated Kashmiri youth is being deprived economically by unjust denying of job opportunities to them. The president while elaborating China Pakistan Economic Corridor (CPEC) said that AJK has become the part of CPEC and four mega projects have been included for Azad Kashmir, which is Mirpur- Muzaffarabad-Mansehra expressway, establishment of the state of the art industrial zone at Mirpur, Karot Hydropower Project of 720-megawatt and Kohala Hydropower Project of 1,124-megawatt. He further said Neelum-Jehlum Hydropower Project will be operational in coming March. The delegation also presented their suggestions to the president to further expedite efforts for highlighting the Kashmir Issue on international forums.